Upper Edmonton is a smaller area north of the main hub of Edmonton. Its close location means it enjoys many of the same benefits, whilst maintaining its own unique character. At the heart of this is what locals refer to as ‘the Angel’, a busy shopping centre that helps attract visitors from neighbouring Tottenham and Lower Edmonton. 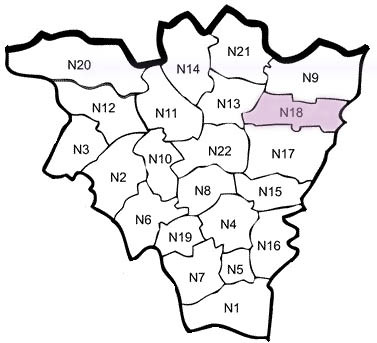 Residents of Upper Edmonton are also lucky enough to share their N18 post code with the NHS North Middlesex University Hospital, adding particular appeal to families and elderly people looking to move to the area. In recent years, Upper Edmonton has received significant investment from the government and as a result there are a number of ongoing developments occurring in the region. 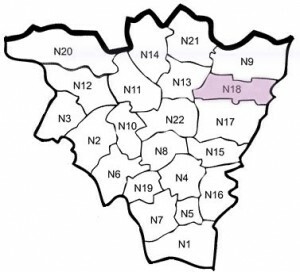 Upper Edmonton is known for having one of the most multi-cultural make-ups in all of North London with strong Afro-Caribbean, Black-African, Chinese and Greek showings as well as a wide range of other international citizens. As a result, there are a number of different places of worship in the area including different churches and mosques. With such an eclectic mix of individuals in the area our man and a van in Upper Edmonton are never short of customers in the N18 area. Our man and a van in Upper Edmonton team have spent many years working in both Upper and Lower Edmonton resulting in a polished service. At a competitive price, we offer an astute door-to-door service that will leave you with plenty of time to focus on the more important aspects of your move. Loading, unloading, equipment and any required time are all included in the quoted price.